From slideshows and sliders, to forms & mobile apps, jQuery plug-ins are an easy way to add advanced web features (widgets) to your site without a lot of heavy manual coding. Knowing how to use jQuery plug-ins will open up a whole new world of possibilities to you. Download the Plug-in files from the source site. I'm using jQuery Cycle in this example. 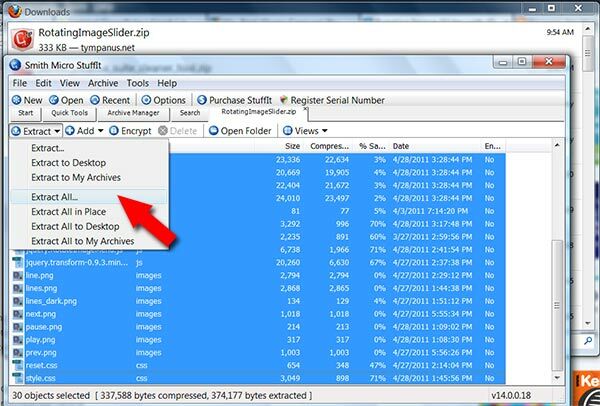 For .zip file downloads, extract all contents with WinZip or StuffIt and save to your local site folder. Click on screenshot. For site management reasons, I prefer to keep scripts in my Scripts folder, CSS files in my Styles folder and images in my Images folder but that's up to you. the function code inside <script> tags to invoke the plug-in. 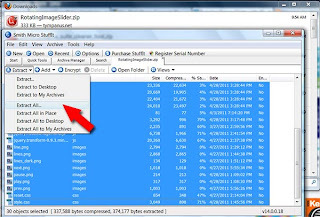 Ensure paths to your plug-in files are correctly pointing to file & folder names within YOUR site folder. Linux servers are cAsE sEnSiTiVe. For best results use all UPPER or all lower case file names. Don't use spaces in file or folder names. Dots, dashes or underscores are fine but not spaces. Lastly, refer to your particular Plug-in's official documentation for the correct function code, fx, and classes to use. That's all there is to it. I hope you enjoyed this brief introduction to using jQuery Plug-Ins. I'm an honest to goodness California native. My birthplace was near Disneyland but I never set foot into the place until I was 10 years old. My family liked to tour the country by car so by age 12, I had visited 38 US States and most of the great National Parks. 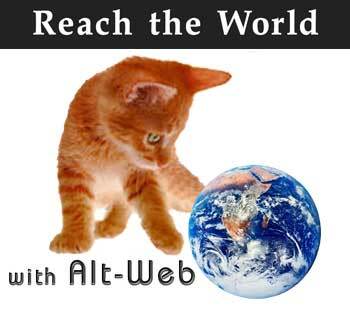 ©1995 - 2017 Alt-Web Design & Publishing All rights reserved. Powered by Blogger.